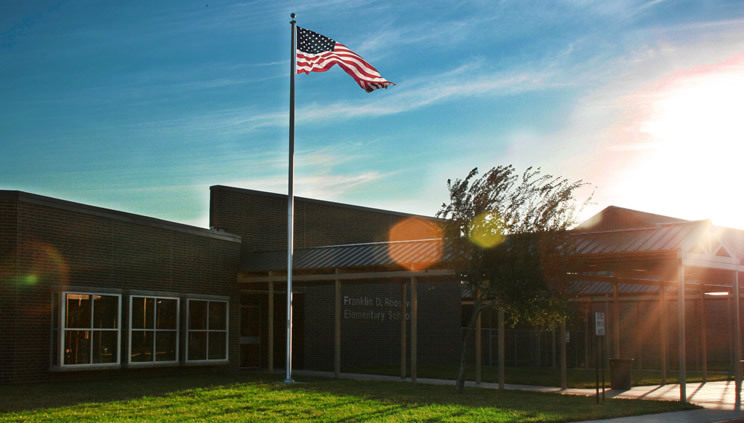 Franklin Delano Roosevelt Elementary was named after our 32nd President of the United States. President Roosevelt was known by his initials F.D.R. His pet, a Scottish Terrier, was one of the most famous presidential pets. F.D.R. Elementary was constructed in the latter part of 1953 and was remodeled with the new addition in 2007. Since its beginnings, the mission of our school has been to have students become productive members of society. The administrators, teachers, staff and parents work together to provide the best educational environment and experiences for the children. F.D.R. continues to strive for greatness and is Lit for Literacy.